For many nursing moms, breastfeeding just doesn’t happen right away and you are forced to pump from the get-go—right there in the hospital–if you ever what to have a chance at nursing later on. You might have had an emergency c-section and it’s taking you awhile to come out of that drug fog, or your baby just doesn’t know what to do. 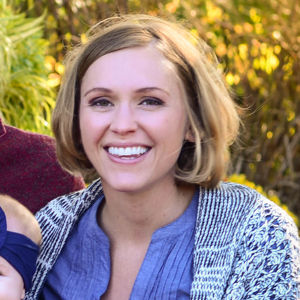 It’s stressful, it’s emotional, and it’s a whirlwind (especially if this is your first baby). In fact, I was there three times—all with the same baby—pumping in the hospital. The truth is a lot of people pump in the hospital. It can help your milk come in (more stimulation!) and it can help baby get all that good colostrum if for some reason nursing just isn’t panning out at the moment. And I truly hope you only have to pump when you are in the hospital after your delivery, because believe me pumping when you are an inpatient in the main hospital was definitely NOT EASY. But you can do it. Here’s how. Ask your nurse or lactation consultant to get you a hospital grade pump while you are in recovery. My hospital had the Medela Symphony, and it was soooo much more powerful than the pump that our insurance company gave us. With the pump should also come a pump piece starter kit – complete with flanges, bottles, and tubing. If it doesn’t, you should be able to use the tubing and parts from your own pump if they are the same brand (note that Spectra will work with Medela). If you’re new to pumping, make sure to ask the lactation consultant how it works. They are there to help, so don’t hold back on any questions you might have. NOW—if you’ve had the baby but then have to be re-hospitalized for some reason, like I was with my blood clots, you can still ask for a hospital grade pump even if you aren’t in the mother/baby section of the hospital. The nurse might not know how to coordinate this, or might tell you it’s not possible…and he/she would be wrong. Call the lactation department yourself, explain what’s happened and why you are back in the hospital, and they will get you a pump. This is an essential postpartum recovery item, but if you don’t already have a bra designed to hold your pump parts in place, I recommend the Rumina pumping and nursing bras (or if you are just going to pump from here on out, I liked this one – it was easier to get the flanges in and out). 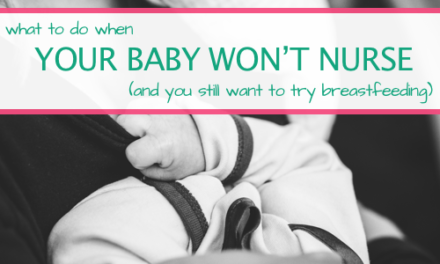 After each nursing attempt you will want to pump…but here’s the thing: pumping makes you sooooo hungry. 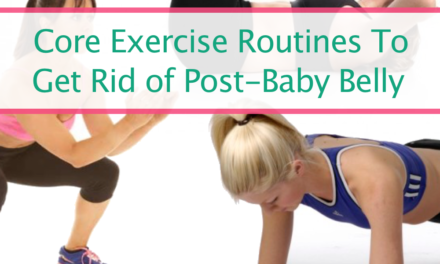 So hand baby over to dad or grandma, get your pump stuff all set up and pump while you down that Jimmy Johns sandwich you’ve been craving for 9 months. You’ll have so many nurses, technicians, doctors, cafeteria deliverers and cleaning crew members coming in and out of your room during your short stay that chances are someone else besides your partner will be in the room with you when it’s time to pump. If you don’t want to give them all a peep show—which I totally did and DID NOT CARE ONE BIT—grab a blanket or towel to throw across you as you’re pumping. 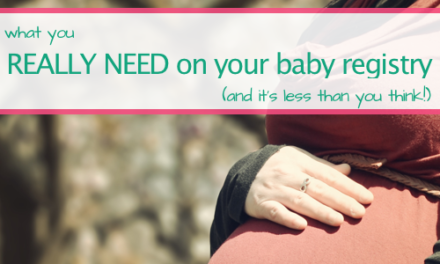 Chances are with a new baby you probably already have a blanket with you, but if you don’t just ask the nurse for an extra swaddle blanket. When I was back in the hospital for my blood clots, you DEFINITELY want a blanket for covering up. No one coming into your room will expect to see a nursing mom, because most patients in the main hospital aren’t new moms. They won’t get it, and while I thought this was totally weird—I mean, this is the same hospital I delivered at right? Where are all the sweet, understanding nurses bringing me water and chocolate cake and pain meds?! You’ll need to advocate for yourself. Let each shift rotation know you will be pumping roughly after 3 to 4 hours, and just be okay when the male technician comes in while you are pumping with your shirt off at 12 AM. If you are pumping right after delivery to feed baby, chances are you are just going to give your milk right away to your little one. 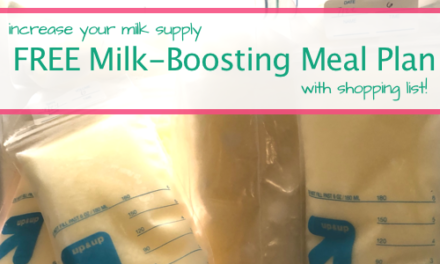 If you are pumping after each nursing attempt to help your milk come in, again chances are you are just giving your breastmilk back to baby. Still, make sure you know what’s safe when it comes to breastmilk storage. (Also check out Breastfeedo for even more explanation on guidelines for storing breastmilk). If you are re-hospitalized or deciding to store your milk for whatever reason, make sure you have bottles or bags at the hospital to store your milk in. You should also label your milk to (name, date, time of day, amount). And talk to your nurse—they SHOULD store your milk for you in a safe, refrigerated space. Fresh breastmilk is only good for 4 hours if left sitting at at room, but refrigerated breastmilk is good for 4 to 8 days. 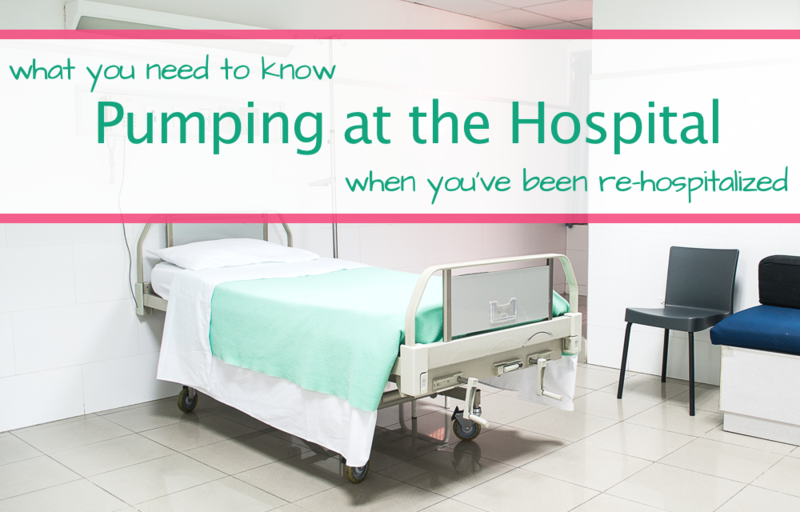 Hopefully your hospital stay isn’t that long, but you will want to find a place to store everything you are pumping. I was an over-supplier—I pumped over 60 ounces a day by the time I was 4 weeks postpartum—so freezing my milk was the goal. Make sure you freeze milk as soon as possible to preserve as much of the healthy benefits as possible. My husband would come to the hospital twice a day to pick up my milk (that the nurses had stored for me in a refrigerated space) and would then go home and freeze it right away. I already mentioned how my husband would be the one to take the milk home, put it all in freezer bags (I liked the Target up & up brand the best) and put them in the freezer for later use (*tip* lay milk bags DOWN FLAT in freezer). You will also need a scrubbing partner too. A pump parts scrubber that is. Since I couldn’t walk or leave my hospital bed without help, my husband did all the heavy lifting when it came to pumping. Because let’s face it, the WORST thing about pumping and bottle feeding is all the washing. So make sure you have a bin, soap (I like pure & clear Palmolive), and a towel on hand to wash your pump parts and bottles after each use. 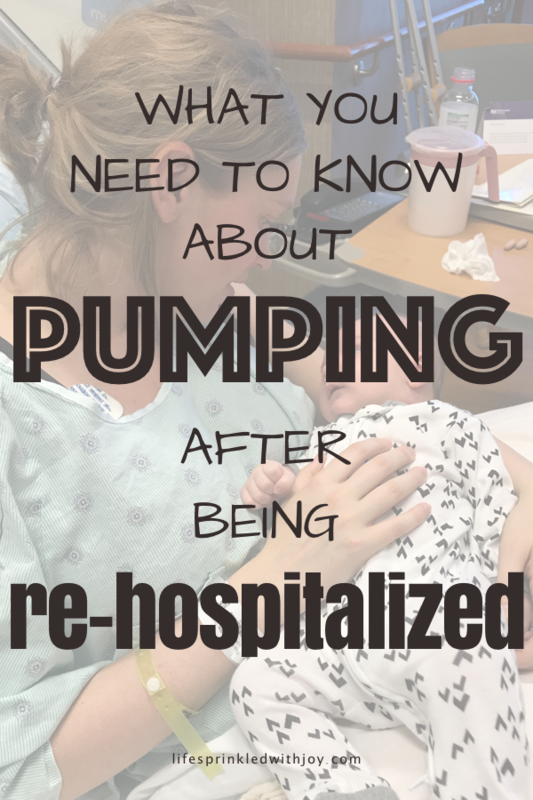 Whether you are starting off after delivery as an exclusive pumper, a nursing supplementer, or a milk supply builder, I hope these tips on how to pump in the hospital help! And if you’ve been re-hospitalized I hope you can power through and not give up—be your own advocate and know you got this mama!